Uh, it can get embarrassing when the synapses fail you. Couldn't happen to a nicer idiot. You know, I've heard all the rhetoric -- you've heard it, too -- about how this is amnesty. Amnesty means that you've got to pay a price for having been here illegally, and this bill does that." 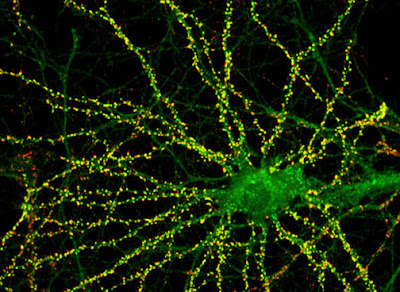 The pic is of synapses. Pretty kewl, huh? How the hell do they photograph such things?